The first look at a new Richard Curtis film featuring more than 6,000 extras has been revealed in a trailer. Yesterday, directed by Danny Boyle, held an open casting call for a crowd scene held on Gorleston beach, Norfolk. Experts believe its high profile could hand a boost to the region’s film and tourism sectors. The film imagines a world without the Beatles in which an aspiring singer-songwriter claims the Fab Four’s hits are his own. Julien Mery, a director of Film Suffolk said: “It’s a fantastic advert for Suffolk in itself and I would be surprised if it didn’t lead to an increase in film-induced tourism. Mr Mery said it could also be a milestone for the regional film industry, by proving to production companies that the area has the skilled professionals for their projects. Film writer Alex Paps tweeted about his excitement for the film. The film’s cast includes Downton Abbey’s Lily James and newcomer Himesh Patel with cameos from the likes of Ed Sheeran. 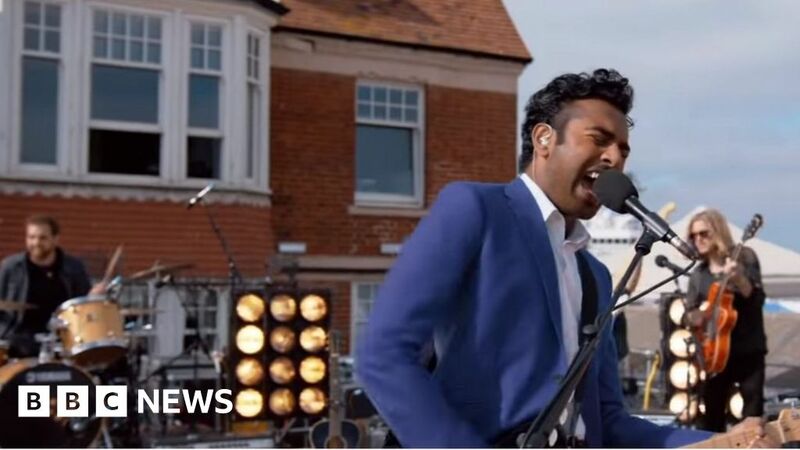 Scenes shot at Gorleston beach featured more than 6,000 extras in a crowd for singer Jack Malik, described as “the only man who can remember the Beatles”. Filming also took place at Halesworth, Suffolk, and Clacton-on-Sea in Essex. The film has a release date of June 28.